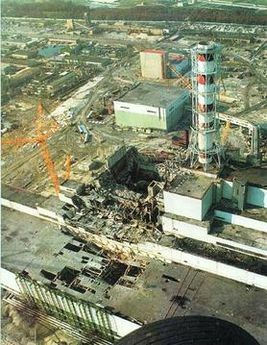 As we burst bubbles, we might recall that it was on this date in 2000 that the nuclear generating facility at Chernobyl in the Ukraine, was (finally) shut down. 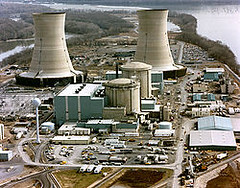 14 years earlier, it had been the site of the worst nuclear power plant accident in history (in terms of cost and casualties), one of only two classified as a level 7 event (the maximum classification) on the International Nuclear Event Scale, the other being the Fukushima Daiichi nuclear disaster in Japan in 2011. On April 26, 1986, Reactor #4 exploded, creating massive damage in site and releasing 9 days of radioactive plumes that spread over Europe and the USSR. Two were killed in the explosion; 29 died in the immediate aftermath (of acute radiation poisoning). 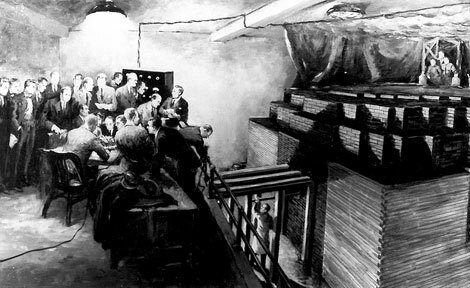 The remains of Reactor #4 were enclosed in a massive “sarcophagus,” and the other three reactors were returned to service. One by one, they failed. The decommissioning held on this date in 2000 was ceremonial. 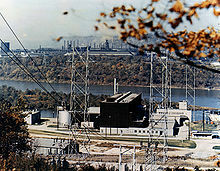 Reactor #3, the last one standing, had in fact been shut down the previous week because of technical problems. It was restarted– unattached to the national grid and at minimum power output– so that the world would be able to see it symbolically switched off. The purpose of this collection [of 3D fossils and artifacts] is to allow you to view your favorite objects from our David H. Koch Hall of Human Origins and to help you share your museum experience with your friends and family. Before our exhibit opened, the objects on display were either CT or laser scanned. The scanning process enabled Human Origins Progam staff to generate 3D models of each object that you can view, rotate, and interact with online. 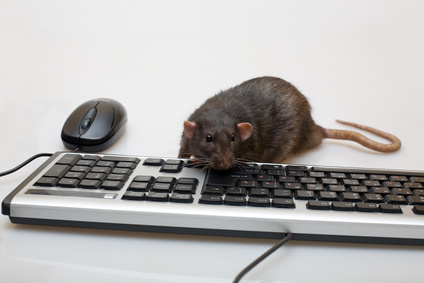 It may take a minute or two to load depending on your computer, but after it is loaded you will be able to move the 3D object around by holding down the left-click button and moving your mouse. 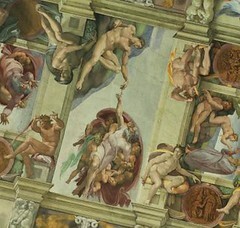 A virtual tour of Michelangelo’s masterwork — move around the space and inspect from any angle, using your mouse– designed by the Augustinian computer scientists at Villanova University. As we marvel at time, at space, and at the technology that aims to tame them, we might recall that it was on this date in 1979 that operators failed to notice that a relief valve was stuck open in the primary coolant system of Three Mile Island’s Unit 2 nuclear reactor following an unexpected shutdown. Consequently, enough coolant drained out of the system to allow the core to overheat and partially melt down– the worst commercial nuclear accident in American history. 182 years earlier, on this date in 1797, Nathaniel Briggs (of New Hampshire) patented the first “washing machine,” known as the Box Mangler– a heavy frame containing a large box filled with rocks, resting on a series of long wooden rollers. Washing was laid flat on a sheet and wound round one of the rollers, then two people pulled on levers to move the heavy box back and forth over the rollers. While it was expensive, heavy, difficult to operate, and even then, jammed often, its failures never led to the evacuation of major population centers.